This summer, I’m heading to a Muscular Dystrophy Association Summer Camp to see how I can support this organization and help spread awareness for their cause. I’ve been diving deep into their #LiveUnlimited campaign and am finding great inspiration from the stories that are a part of their online promotion. Please take a moment to watch Davion Bartlett’s story. “Can’t is not part of our vocabulary”. Man, powerful. Sometimes I feel like I can’t get through my day because I am absolutely overwhelmed or overstressed. Sometimes I feel like I’m not strong enough, smart enough, fast enough, good enough. Can’t is very much part of my vocabulary… on a regular basis. And I know I’m not alone. To watch Davion’s story be filled with no limitation was so inspiring. This small clip was a gift. I can’t wait to visit the MDA camp so I can spend two days giving back what I can to repay them. The MDA #LiveUnlimited campaign was created to help families live unlimited and free them from the harmful effects of muscular dystrophy. There are SO many ways you can support! Click here to find out more information. 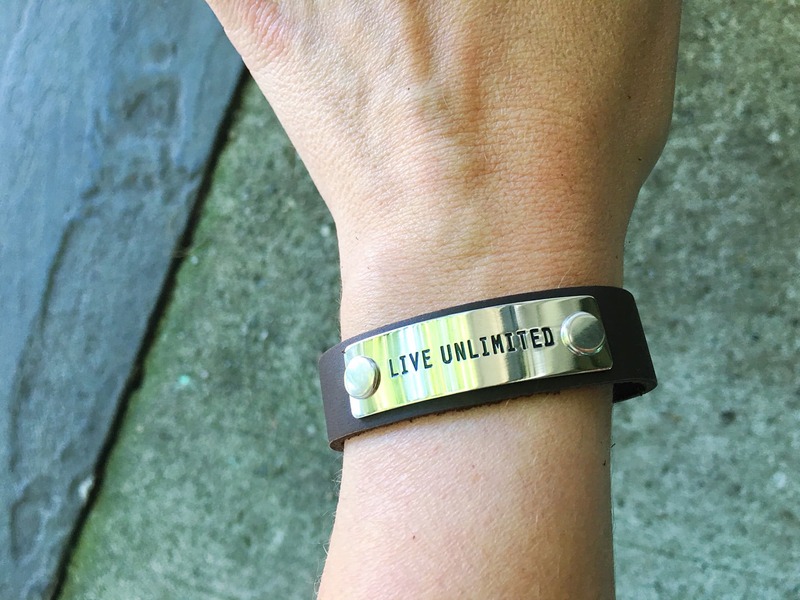 If you’d like to snag one of these Live Unlimited Bracelets, click here. *I’ve teamed up with the MDA to raise awareness about the #LiveUnlimited campaign and cannot wait to meet some of the families that attend the camp this summer. I am BEYOND excited to see you!! That is so great! You’re going to have so much fun and do so much good. I can’t wait to read all about it. Camps like these are so important to kids! I love that the MDA puts on camps, I can’t wait to hear about how your experience with the camp goes! I think this is such an amazing thing to do. Muscular dystrophy is a difficult prognosis for an adult to deal with. I can’t imagine living with such a thing as a child. This is a great form of support for those with muscular dystrophy. It’s a great way to learn and meet others with similar issues. What a cool experience you are about to have. I love when you can find inspiration like this. I can’t wait to hear how it goes. Thank you for sharing Davion Bartlett’s story. What an amazing young man!